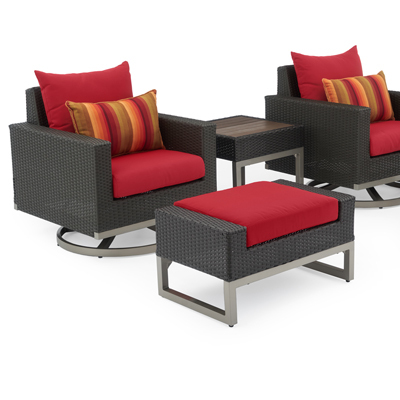 Unwind in deep seating with this Milo set of two outdoor club chairs. 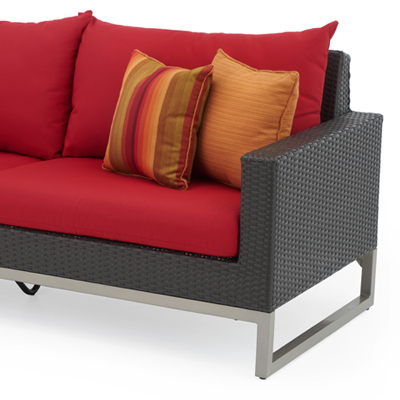 The exposed powder-coated aluminum frame is paired with a traditional woven wicker to create a piece that looks as great as it feels. 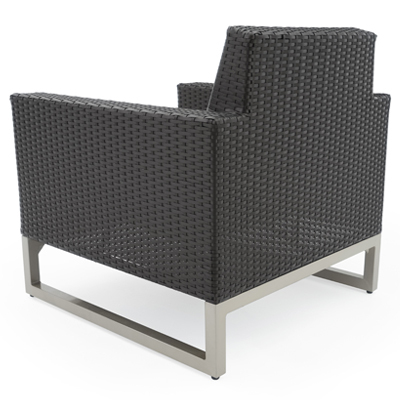 Durable materials, including designer Sunbrella® fabric, are engineered to last through any type of climate or weather. 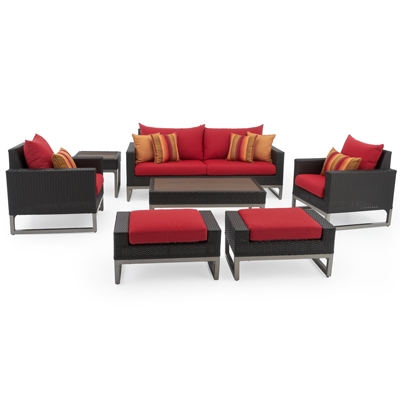 Set includes two club chairs with coordinated accent cushions.